The consecutive instances of lynchings in various parts of country over rumours being spread through provocative WhatsApp forwards has put a question mark on the messaging platform. 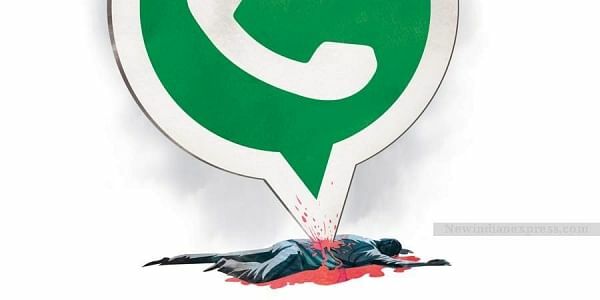 NEW DELHI: The government has asked WhatsApp to take immediate action to end the menace of spreading messages that impact the country's law and order situation and ensure that the platform is not used for such malicious activities, an official statement said here on Tuesday. "Deep disapproval of such developments has been conveyed to the senior management of the WhatsApp and they have been advised that necessary remedial measures should be taken to prevent the proliferation of these fake and at times motivated/sensational messages," the statement said. It has also been pointed out that "such platform cannot evade accountability and responsibility especially when good technological inventions are abused by some miscreants who resort to provocative messages which lead to spread of violence." whatsapp is a digital world. this is the aim of PM to make India digital. Only educating the politicians is most needed in this regard first. then they have to take steps to make awareness and alertness of both sides of the modern world. blindly supporting causes crimes.